Ihre Anfrage wird als E-Mail an die bei uns hinterlegte Kontaktperson bei Fidelis Cybersecurity GmbH geschickt. Fidelis Cybersecurity transforms security operations by improving the effectiveness and efficiency of investigation, incident response and SOC teams. Our Automated Detection & Response (ADR) platform brings together and automates network and endpoint security. From automatically correlated telemetry to automatic threat and compromise validation to automated response, Fidelis ADR protects the world’s most sensitive data by equipping organizations to detect, investigate and stop advanced cyberattacks. Our products, services and proprietary threat intelligence enable customers to proactively face advanced threats and prevent data theft with immediate detection, monitoring and response capabilities. With our integrated Fidelis Elevate Platform or our individual Fidelis Network, Fidelis Endpoint and Fidelis Deception modules, customers can stay one step ahead of any attacker before a major breach hits. 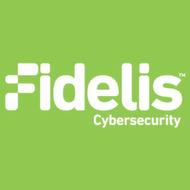 To learn more about Fidelis Cybersecurity, please visit www.fidelissecurity.com and follow us on Twitter @FidelisCyber.